This shrine, in the heart of Tokyo, is one of the many Hie Shrines that are dispersed throughout Japan which has its roots in Mt. Hiei, northeast of Kyoto. The messenger for the shrine’s deity is the monkey; thus, several statues and images of monkeys can be found in the shrine. One image of a monkey carrying her young represents the shrine’s reputation to grant fertility and prevent miscarriage to the people who worship here. Hie Shrine also hosts one of the Edo Sandai Matsuri(江戸三大祭, three great festivals of Edo), the Sanno Festival from June 10th to the 16th. The date when this Hie Shrine was founded is unclear; however one theory says that it started out in 1478 inside the Edo castle. In 1604, during the castle’s renovation, the shrine was moved outside the castle, making it possible for ordinary people to come visit the shrine. The shrine was burnt to the ground from the Great Fire of Meireki in 1657 and rebuilt in 1659 at the present site. 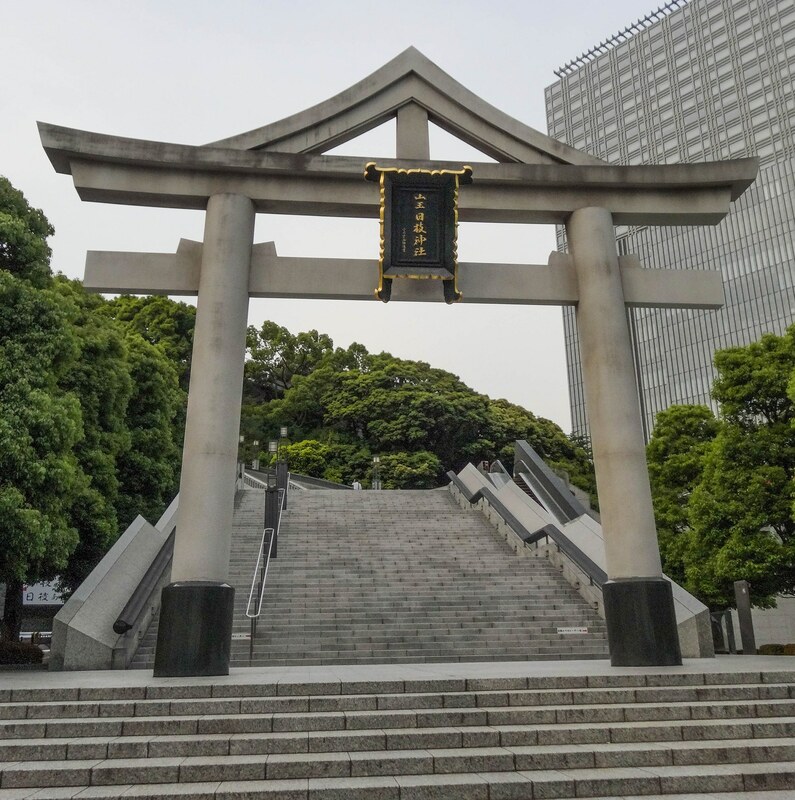 During the 1945 Tokyo Air Raids, the shrine was once again burnt to the ground but later rebuilt. That structure stands to this day. 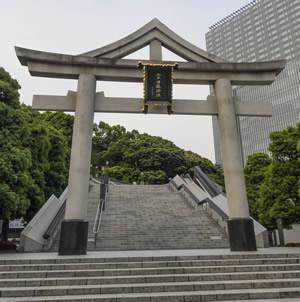 Hie Shrine can be accessed from several railway stations.